In the picture above is one of our custom chess. 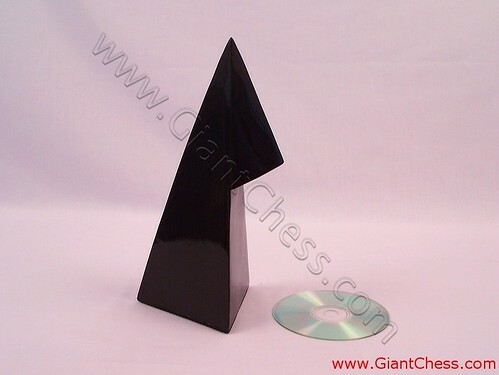 We have made various design of chess for our custom product. Our custom product has aimed to attract more chess lovers to make them feel different nuance in chess game by using unusual chess pieces. Just like in the picture above. That chess piece is part of Geometric chess set that designed and carved different than ordinary chess piece. It has made of best quality Teak wood and carved by our expert craftsman. So unique and beautiful shapes. Designed perfectly for the chess lovers. Polished in black color with glossy touch, make it more interesting and charming. Get the Geometric chess piece set in brown color to complete your chess collection.